Added follow up date column to the unplaced grid view. Created custom Google map pins to replace the depreciated dynamic Google icons. Updated QuickBase code to handle TLS 1.2. Fixed bug where Google Maps Pin locations would not change if installation address was changed in ProjectsForce. "Inactive" team members will be hidden from the pop up. If previously added to a team, they will persist till manually removed. Activity check is done on refresh. Fixed a bug where the system gave an erroneous "Insufficient Priviledges" when trying to retrieve more than 15,000 projects after logging in. Fixed minor rendering issue related to background color on the 11 pm to midnight. Added handling of connecting to QuickBase accounts that had their credentials changed. For vendors who deal primarily with a single Vendor, AutoQB now has the ability to set the Invoice Number to be the same as the PO Number. Contact us to discuss enabling it. Increased compatibility with additional ProjectsForce vendors. Scheduler not launching? Here's how to fix it. There has been reports that the Scheduler has not been launching recently in Windows 10. This is due to a recent Microsoft Windows 1803 Update that broke software for millions of people. The recommended course of action is to roll back the update. So if you are stuck at launching the program, follow these instructions. Fixed some bugs in the Scheduler. Sorting the Unplaced DataGridView won't hide Google Maps markers. Dragging back to the original start, date time will remove the "Project has been rescheduled" installer note. Selecting a placed project will bring the associated marker to the front. Scheduler is now integrated with Google Maps. Fixed a minor rendering bug with filtered out Projects overlapping each other. Scheduler gains the ability to quickly filter Unplaced and Placed Projects. It now maintains sorting of Unplaced Projects when undoing from placed. Fixed a bug where undoing did not instantly move the appointment back to the original resource. Purchase Order Shipping Address is now the customer. Purchase orders have the option to have their items set to the store that originated the work. Contact Chad to have this enabled. Improved some error reporting. Scheduler added City column to the Unplaced Projects. Added the ability to hide the City and Zip Code columns under Settings, Columns. Scheduler removed exclusion project status Project Scheduled. Scheduler added exclusion of more project status (Detail Cancelled, Detail On Hold, Exception Completed, Project Scheduled, Work Order Cancelled, Work Order Cancelled, Work Order On Hold). Fixed minor resource leak. Scheduler improved handling of non responsive servers. Scheduler improved handling of tool tips when overlapping. Fixed potential crash case. Scheduler fixed a crash when changing companies. Scheduler now has a 5, 6 and 7 day work week views. Tweaked auto refresh to only run when no pending changes. Fixed another bug with pop-ups showing incorrectly when changing dates. Fixed save button getting stuck on after a refresh was used to discard changes. 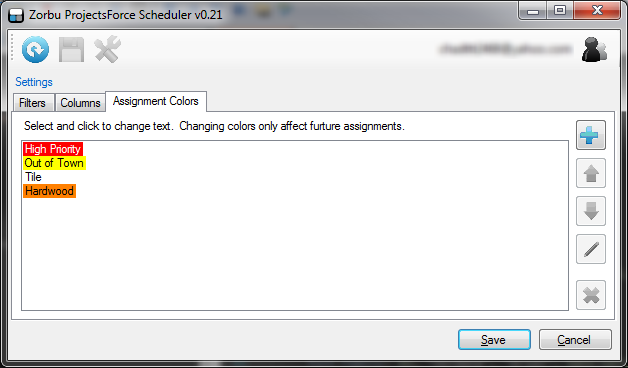 Fixed Scheduler project reassignments not changing the outline to red. Added vertical scrolling to the calender grid. Added an automatic refresh every 5 minutes to the Scheduler. This will not revert unsaved changes. In the Scheduler, fixed a bug with appointment pop-ups showing for an unselected installers. In the case of a new Vendor with the same name as an existing employee, AutoQB will now add the new Vendor with the " (V)" suffix. Added the ability to rename Jobs as the Invoice #. Added the ability to place Invoices at the customer or the job level. Added the ability to view and add internal notes to projects via the Scheduler. Changed the ProjectsForce Scheduler to include projects from the last days of the previous month. 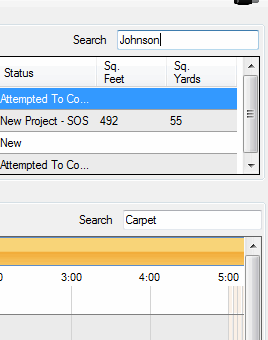 Based off of a customer request, ProjectsForce Scheduler now shows the customer address on mouse over. Two bug fixes for the Scheduler. Fixed crash when ProjectsForce had misentered dates that can't be represented in unix time. Fixed crash on new installation due to uninitialized custom assignment colors. Two minor fixes in AutoQB. When upgrading from a previous version, if unset Adding Jobs is now defaulted to off. Added automatic recovery of cache file corruption. 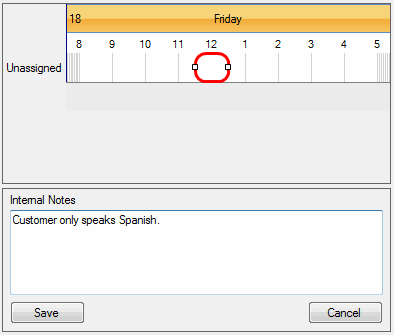 Based off of customer feedback, ProjectsForce Scheduler now has the ability to have custom assignment colors and text. Restart and upgrade to obtain the new functionality.